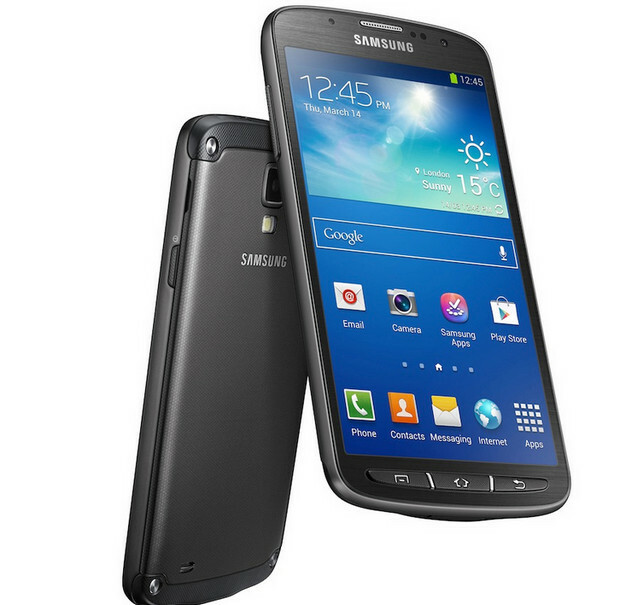 The Samsung Galaxy S4 Active – the rough’n’rough version of the S4 handset – has been officially announced and looks perfect for folks that like to treat their phones mean. 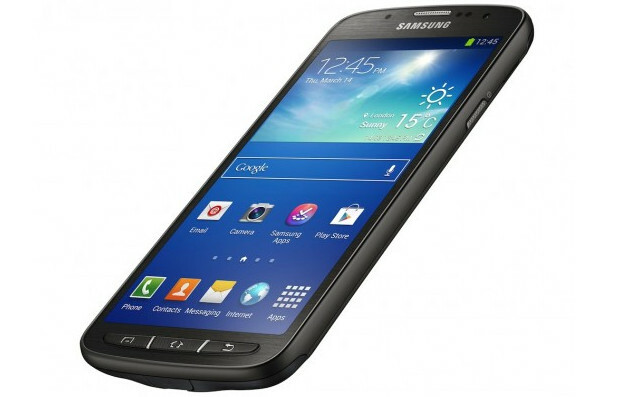 The ‘ruggedised’ version of the Galaxy S4 is claimed to survive up to 30 minutes under a metre of water, and can record your underwater frolics in HD thanks to a new Aqua Mode in the camera app, with a water-resistant earphone jack keeping the H20 at bay. Designed to resist dust and tough handling, the Active has a similar, if slightly inferior, spec sheet to the S4, with the 5-inch Full HD display using a TFT LCD rather than AMOLED, and the rear camera downgraded from a 13MP number to a slightly more modest 8MP one. Inside beats a 1.9GHz quadcore processor backed by 2GB of RAM, 16GB of storage (11.25GB user-accessible) and a microSD slot. For video chats, there’s a front-facing 2MP camera, and there’s no shortage of sensors onboard, with the Active packing the full suite of accelerometer, digital compass, gyroscope, proximity, barometer, gesture, and finger-hovering sensors. Connectivity options abound too, with LTE and HSPA+, WiFi a/b/g/n/ac and Bluetooth 4.0, WiFi Direct, NFC and infrared present and correct. 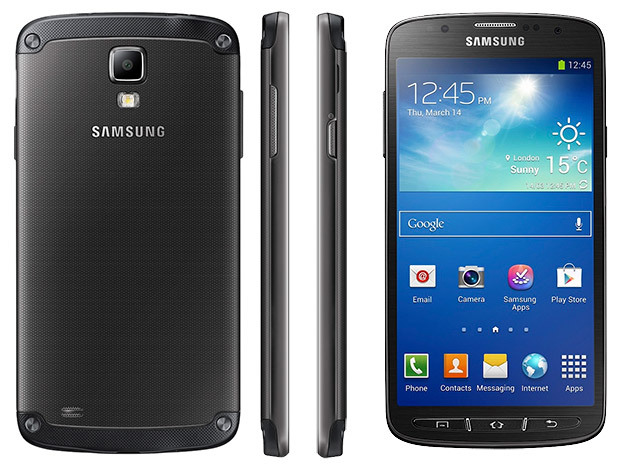 Samsung’s TouchWiz interface sits on top of the Android 4.2.2 Jelly Bean OS, with the handset measuring up at 39.7 x 71.3 x 9.1 mm and weighing 151g. Samsung says that the Galaxy S4 Active will initially be whizzing over to US and Swedish shelves this summer, and be offered in three colours, grey, blue, and orange. More details are excepted at Samsung’s June 20 “Premiere” event.